Every year, one day a year, AVRL closes its branch libraries in order that all staff can be brought together for a professional development day. This year, it's Monday, May 27th. 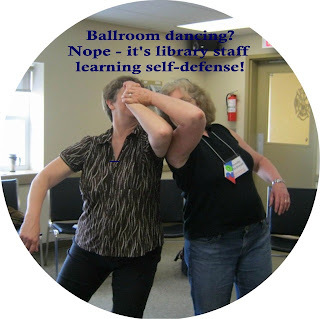 While we may have other training days for smaller groups of staff during the year, this is the single chance for all staff to take part in the same workshops, share their work experiences, and the common joys and challenges of the public library workplace. 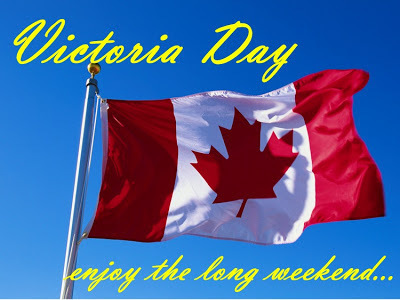 In the past we've enjoyed, and benefitted from, information sessions on Customer Service, Mental Health, Service to Seniors, Children's Storytimes, Outreach Services, and Self-Defense. This year, our staff development day is all about technology. We're just like everyone else; it proves challenging to keep abreast of the technology gadgets, software, and lingo that our patrons discuss with us! Now that libraries offer OverDrive (a downloadable eBook and audiobook service), staff are often approached and expected to be familiar with that person's particular brand of tablet, eBook reader, laptop, etc., and how it interacts with OverDrive. (We should note here that our expectation for staff is only that they are familiar with the basic downloadable service itself and that they can direct patrons to "Help" functions and documents. They are not expected to be technology trainers or support staff for the public's equipment. ) This can be very frustrating for everyone involved, especially those new technology owners who are experiencing support challenges from the makers and providers of their tablets and eReaders! Along with the OverDrive workshop, we'll also have "APPy hour". Our Youth Services Librarian Angela Reynolds regularly reviews apps for kids and parents in her Valley Storytime blog posts. She looks for apps that are low-cost or free, educational yet fun, book-related, or ones that can help develop early literacy skills such as drawing, storytelling, and vocabulary. She likes apps that take good children's books and make them even more fun, such as Good Night Moon, The Three Little Pigs, or the Sandra Boynton books. Angela will be sharing some of these with staff. In addition, there will be a general workshop on New Trends in Technology, and one on Photo Editing. All in all, it promises to be another rewarding and enjoyable day of professional development. While we are sorry for the inconvenience of the closure on May 27th, we are pleased and grateful to take part in these opportunities. We hope to serve you better because of them! This time of year is often highly anticipated for those of us that live on acreage in rural Nova Scotia. The cold winter months are behind us, and the water buckets have thawed. These are days that you have planned and prepared for. Baby animals are arriving! Hens are sitting on hidden eggs and emerging with chicks. Lambs are being born in the sunshine in the middle of a green field. Birds are collecting nesting material. The seeds you started are sprouting. 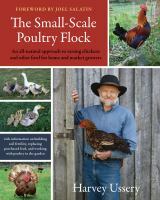 many varieties of chickens, but which one would best suit your needs? Are you raising animals for food? Where do you buy your first calf? Do you want to make cheese? Maybe you would like to learn to spin wool produced by your sheep! 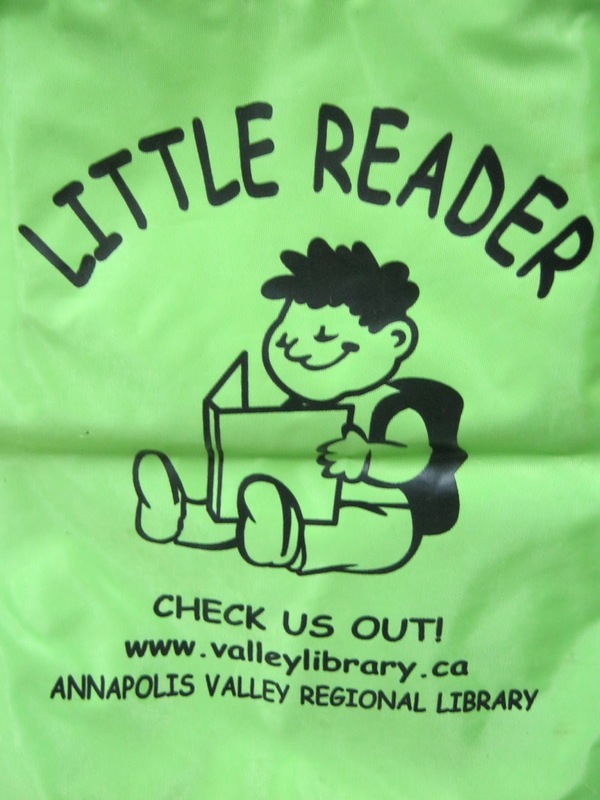 The Annapolis Valley Regional Library has many wonderful books to help you get started. You can browse our online catalogue and place holds on items of interest, or visit your local branch and talk to our staff about what you are looking for. Raising your own animals can be very rewarding. 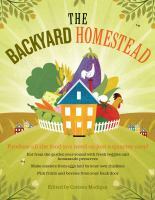 My family has enjoyed eating homegrown meat and eggs. 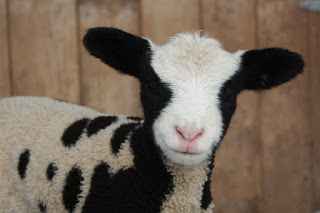 I learned the joy of making cheese and yogurt, and spin wool and knit with the yarn produced by my sheep. Over the years we have raised pigs, calves, chickens, ducks, geese, goats and sheep. There is nothing more exciting than opening the barn door in the morning and finding a new and healthy baby. In the beginning we all make mistakes. I learned which animals are best suited for my farm and lifestyle, and that proper fencing really is important. Start by reading about your farming adventure. Talk to friends and neighbors who do farm. Then roll up your sleeves, put on your rubber boots and get some hands-on experience. You can do it! Pedometers, Energy meters, Breastfeeding Resource Kits, & Little Reader Bags … We've got a little of everything! Getting in shape for the summer? Having a little friendly competition with co-workers? Celebrating Nova Scotia Walk Day on May 8? Why not try out a pedometer, courtesy of your public library. 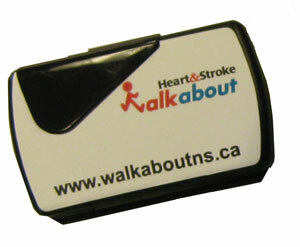 Through a partnership with the Heart & Stroke Foundation of Nova Scotia, pedometers are just part of our regular borrowing collection. You can place your hold directly in the catalogue, or talk to library staff about borrowing one. Interested in knowing how much energy that old freezer is utilizing? What about that 20 year old microwave? Thanks to a partnership with the former Conserve Nova Scotia, we have energy meters to help you with that! 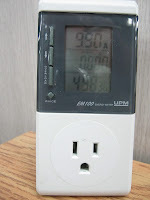 The two most useful measurements on this meter are "watts" and "cost". Many appliances use electricity even when turned off. Examples include the TV and cable/satellite box. Use the energy meter to identify these phantom loads on your power. Do you leave your computer, monitor and printer on all day? 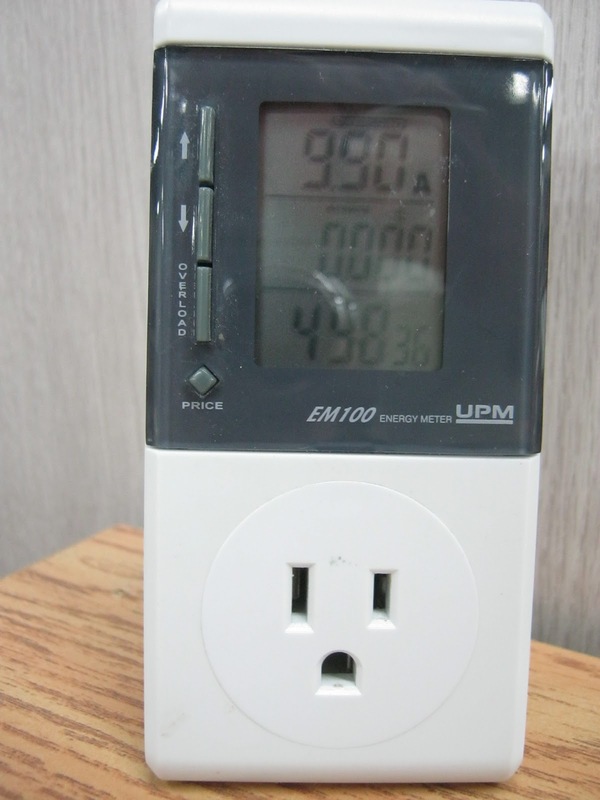 Use the meter to tally your savings in watts by powering off the electronics when not in use. A Valley partnership among various health groups resulted in the creation of six Breastfeeding Resource kits. 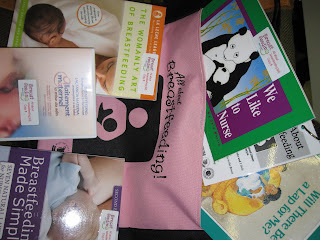 Each kit is a bag of items to support breastfeeding parents and their infants. The All About Breastfeeding kits include the dvd Breastfeeding: bringing baby to breast; books Breastfeeding made simple, by Nancy Mohrbacher; The womanly art of breastfeeding, by Diane Wiessinger; a book for the baby, We Like to Nurse; and one for the siblings of the breastfeeding child, Will There be a Lap for Me? Place your hold now. 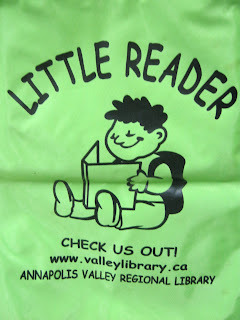 Are you familiar with our Little Reader Bags? If your child is beginning to read, and you need help finding material perfectly suited to his/her reading level, our Youth Services Librarian has made the job easier for you. She's selected the books and colour-coded the bags into these categories: Just Starting (Blue); Emerging Reader (Green); Early Reader (Pink); and, Developing Reader (Yellow). Click here for a description of each , and then decide which one meets your needs. (We have them in French, too.) For a keyword search in the catalogue, just type Little Reader Kit to get your complete list and place a hold. It can't get any easier.